If you are a foodie or just love discovering foods, you should definitely know about these amazing food bloggers who give you a lot many reasons and chances to fall in love with food again and again through their blogs. They have sincere love towards food. Be it a healthy diet, or the street food from around the corner, desserts, the top food blogs in the list below are going to satisfy your hunger. Anushruthi is a Mumbai based girl who is a food writer, recipe developer, and photographer. She is specialized in pure vegetarian recipes. Divine Taste is her blog which is focused on sattvic food. Vegetarians can experience a lot of recipes from this blog and it is a pure treat for them. Even Non- vegetarians can enjoy these exotic dishes. Edible Garden is without any doubt one of the best food blogs that feature classic old town recipes to the quick bite delicious recipes that your mouth will crave for. There are various categories of foods in the blog by the blogger Naga Lakshmi which also includes regional foods you can try. 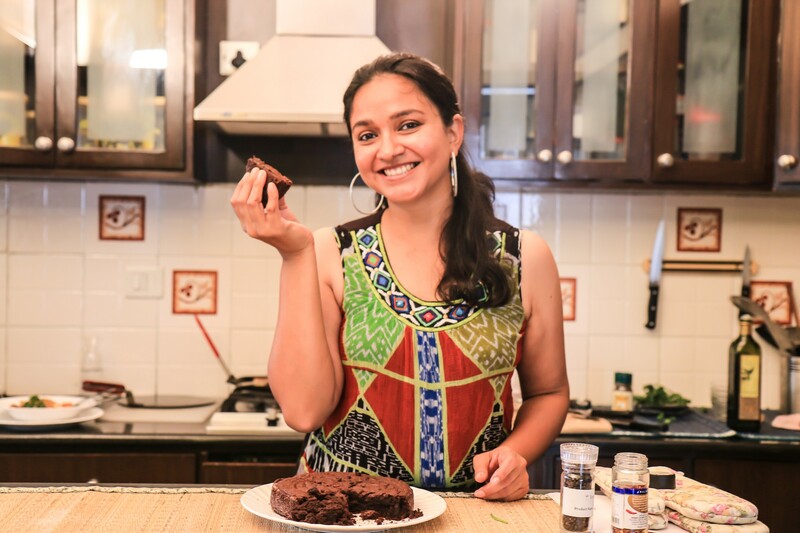 Kavitha the food blogger started her Foodomania blog in 2012. Through her blog, she gives the readers the easy to learn step by step pictorial guides to prepare delicious dishes that the readers can try and calm their taste buds. Richa Hingle runs a great food blog that gives a treat for your eyes as well. Richa puts in her blog some authentic recipes, vegan foods on her blog that gives the people who are on a vegan diet some brilliantly delicious options. Check her blog VegaRicha if you are a vegan or about to turn one. Or you can try these delicious vegan recipes one time or the other casually. Also read The Gutless Foodie – A Food Blogger Who Radiates Euphoria! It is one of the very oldest food blogs and Archana has been very much popular in this field of food blogging and is very much experienced as well. She started cooking at a very young age and her recipes in the blog Archana’s Kitchen are highly healthy and are a great option for all those health maniacs. Do check out these food blogs run by their tops food bloggers and learn some awesome recipes.